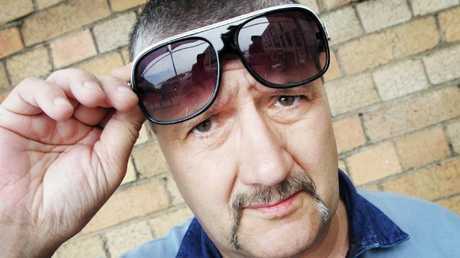 MARK Brandon "Chopper" Read has become a legendary figure in the annals of Australian crime. The late Melburnian gangster, known for his bleak sense of humour, lack of ears and extreme violence is about to be thrown into the spotlight again. 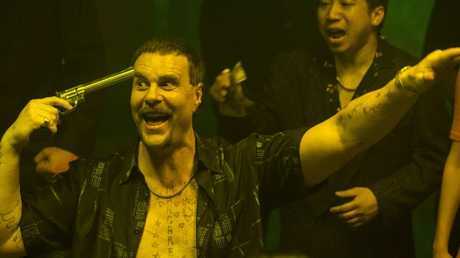 Channel Nine's mini-series Underbelly Files: Chopper airs this weekend and it will no doubt antagonise Read's critics. His reputation as a hard man began when he started ripping off drug dealers in Melbourne. He then went on to make a living kidnapping and torturing members of the criminal underworld. The street gang member had become a household name by the time he died, aged 58, in 2013 - just one year after he was diagnosed with liver cancer. His fame was due not only to his fearsome reputation as a criminal but also because he told his own words as an author. Read died in 2013 after he was diagnosed with liver cancer. 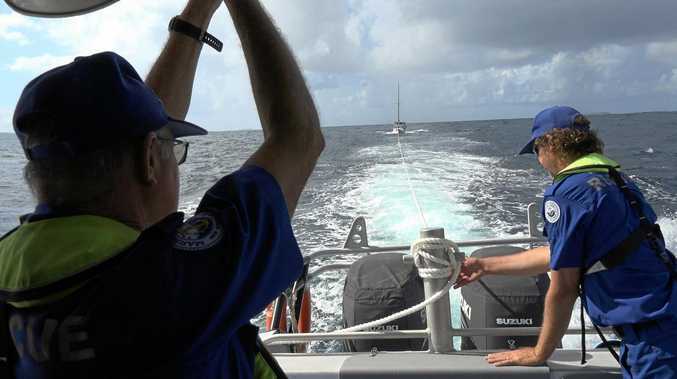 Source: Steve Pohlner/ News Limited. His crook anecdotes, which include chopping a man's leg off with a shovel and torching a victim's feet with a blowtorch, inspired Andrew Dominik's fantastic film Chopper, starring Eric Bana as the main man in 2000. In his books, Read claims to have been involved in the killing of 19 people and the attempted murder of 11 others. But these stories have been picked apart ever since Read wrote them. "It was a series of books on the life of Chopper Read that many consider to be the greatest crime against literature in the history of the written word," wrote crime journalist John Silvester in a newly-released foreword in Read's 1991 book Chopper: From the Inside. "There is no doubt some of Read's stories are embellished, polished or in some cases, stolen, but there is also no doubt that through the 1970s and 1980s he was one of the most dangerous men in Australia. "Dangerous gangsters feared Read because he was a local version of an underworld terrorist. For many years, he saw himself as a street soldier who didn't care if he lived or died." However, Mr Silvester said that the idea that Read was some sort of "underworld mastermind" is a popular misconception. Read spent just 13 months outside prison between the ages of 20 and 38. Chopper in his prime. Picture: Supplied. He served time after being convicted of armed robbery, kidnapping, arson, impersonating a police officer, assault and attempted murder. He was sentenced to 13 years in jail for attempting to kidnap a County Court judge at gunpoint. "His criminal history is littered with blunders," wrote Mr Silvester. "His police record shows that when he broke the law he was usually caught and convicted." 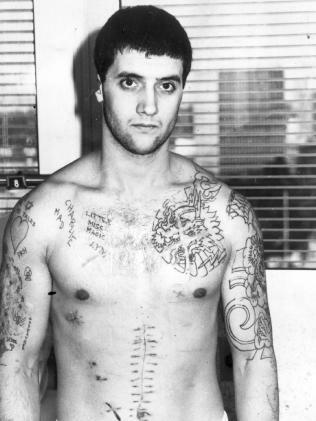 Read's fearsome reputation was no doubt helped by other strange incidents in his life, like the infamous moment he had a fellow prisoner cut his ears off in the late 1970s - as part of an attempt to get out of Pentridge Prison's H division. Read famously wrote that the ears moved around on the floor like "Mexican jumping beans". Mr Silvester personally antagonised Read with a Herald Sun piece in 1990 about Chopper's acquittal of the 1987 killing of Sammy 'The Turk' Ozerkam outside St Kilda's Bojangles nightclub - in which the reporter called him "all sorts of nasty names". The journalist said he was sent a Christmas card shortly after. He thought this was surprising because it was nowhere near the festive season and he was even more surprised to see it had been sent by Chopper. Aaron Jeffrey will star as Read in Underbelly Files: Chopper. Source: Channel Nine. "May the Yuletide log fall from your fireplace and burn your house down. Seasons Greetings and Jingle Bells. Chopper Read,"it read. However, not long after the bizarre incident, the pair met for an interview while Read was serving time inside Pentridge's notorious H Division. And it was then that Mr Silvester came to understand what made the notorious criminal tick. 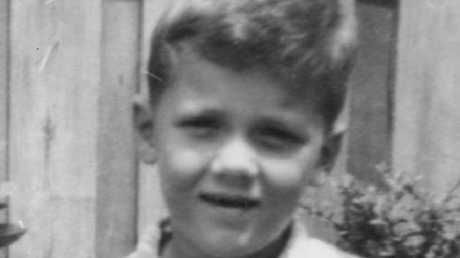 "Unlike most crooks, he didn't make excuses, didn't claim he had been railroaded and didn't blame his childhood," Mr Silvester wrote. However, in his books, Read considers himself a vigilante who hatred of bullies and hard men stems from school - where he says was repeatedly picked on. He wrote in Chopper: From the Inside, that everyone he claims to have killed deserved it. "I have personally been involved in 19 deaths inside and outside of jail since 1971," he wrote. "Okay, it's no world record, but it's not bad for the little kid in the schoolyard who always got bashed. Read says he was picked on in school. Picture: Supplied / File Photo. "All those who dies had it coming. There wasn't a 'civilian' in the bunch, and I don't regret one. "It's not that many when you think of all the criminal violence there has been in Victoria over the years. "Strange as it may seem, I have never considered myself a murderer, because they all had it coming. "Most of them came under the heading of tactical necessities. All of them were killers and violent crims, so no big deal."